The following analysis comes from Spotify’s Director of Economics, Will Page (pictured below, inset). 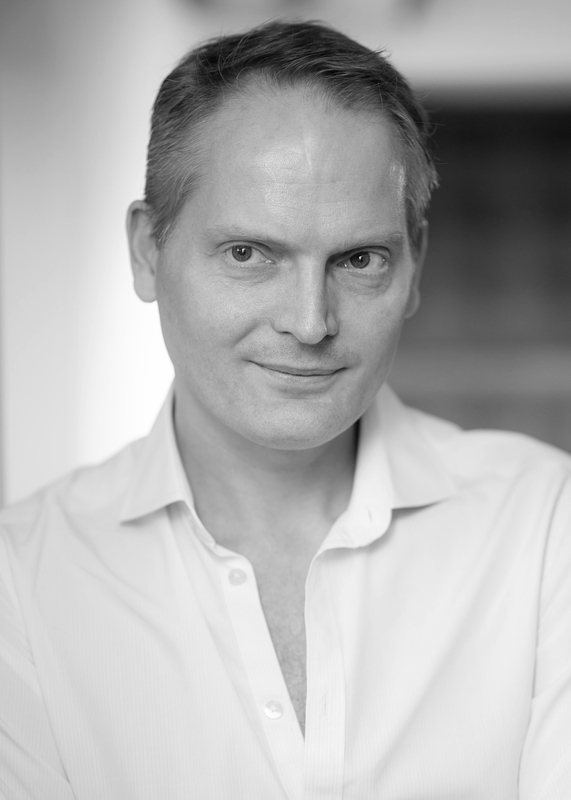 Writing exclusively for MBW, Page explains how the global music rights industry grew by a hugely significant margin in 2016 – the last year on record where all figures for publishing and recorded music are available. Since joining Spotify in 2012, Page has presented new insights on the ‘Anatomy Of A Hit’ and put the first ever figure on the global value of music copyright here at MBW two years ago. Page is a Fellow of the Royal Society Of the Arts. What is the entire music industry actually worth? Such a seemingly simple question went without an answer for years until I published analysis, via Music Business Worldwide, in 2015 and 2016. Better late than never: now we can present the latest analysis for calendar year 2016. 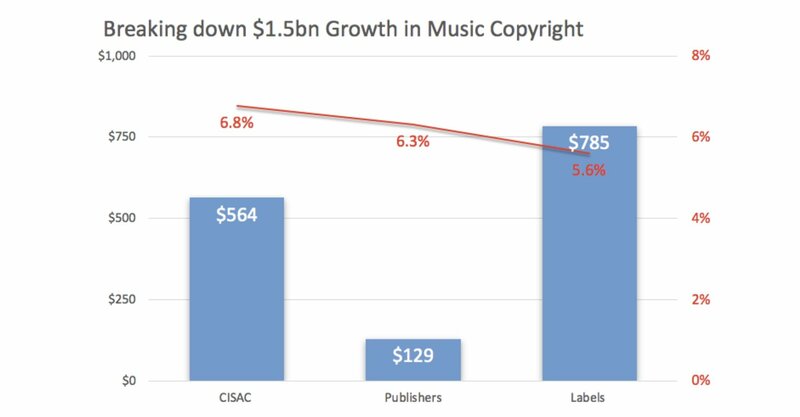 What differentiates this analysis from any other work out there is that it adds together the revenues of the whole music copyright industry – from labels to publishers and collective management organisations (CMOs). This is an important exercise for Spotify, as we contribute directly to all three of these sectors. We are indebted to the published work of the IFPI, CISAC and MiDIA, as well as the expertise of Chris Carey at Media Insight Consulting, for guiding us through this snakes and ladders exercise. 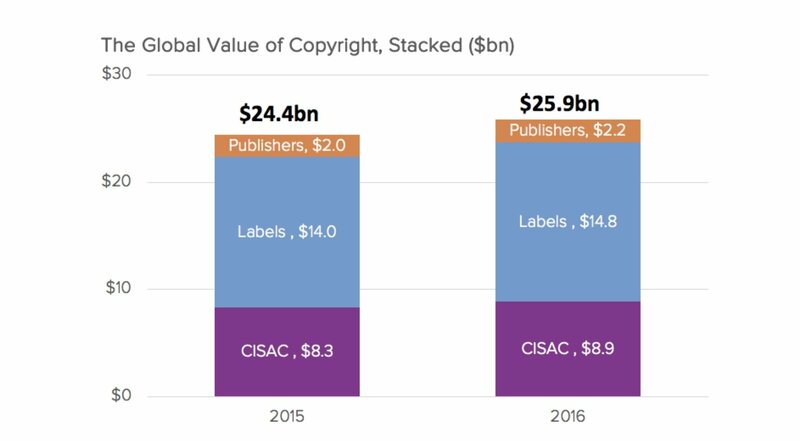 In the calendar year of 2016, the latest year we can capture across all income sources, the global value of music copyright in worldwide revenue terms was nearly $26bn – representing growth of $1.5bn (+6.1%) on 2015. That’s a much bigger figure than IFPI’s value of recorded-music-only in the same year, at $16bn. Unlike that IFPI figure, our number captures of all Spotify’s contribution to artists and – importantly – songwriters, as well as multiple other income streams. What is particularly noteworthy is that all three components to our figure (recorded music, publishing and CMO collections) grew at broadly the same rate over the 12 months. Once adjusted for ‘double-counting’, the global revenue of labels grew 5.6% in 2016, while direct publishing revenues grew 6.3%. Meanwhile, total collections at CISAC – the collecting society network for publishers and songwriter – grew 6.8%. In past editions of this analysis, there was more variance in growth rates, yet now we see a rising tide lift all boats (see bar chart below). Another important output of this work is to divide this complex business into two simple camps: labels and artists on one side; songwriters, publishers and CMOs on the other. This helps put some criticism of streaming into context, as services are occasionally cited as paying too little too publishers and songwriters relative to the labels. Calculating the global value of copyright allows us to take a uniquely holistic view on each camp’s share of the pie. Yes, it’s true to say that in streaming, labels and artists get the lion’s share of the rights pool. But in areas like synchronisation (TV and film), grand rights (theatres) and public performance (retail) to name but a few, publishers do significantly better than labels. 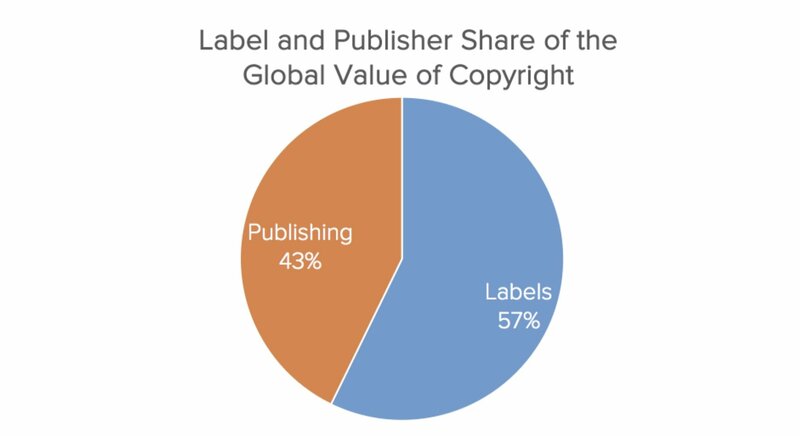 As a result, the label/publishing split across the entire music rights landscape – in overall revenue terms – was pretty even at 57/43 in 2016 (see pie chart). This information allows us to step back and examine particular areas of the value chain on which streaming might be having a positive influence. Take music synchronisation, for example – the use of music in TV, film, games, and commercials – which is the bedrock of the music publishing sector. This was estimated to be worth around $900m to publishers alone in 2016. For the recorded music sector, this stood at $400m in the same year, according to the IFPI. It might be that streaming is helping the synchronisation market grow. The ability to ‘spot and identify’ music can be complementary to placing it in a film or tv show. A similar spillover benefit can be assumed for the live sector, which sits outside of this valuation exercise as it does not involve copyright per se, but is worth even more than copyright itself. Forecasts from PwC, Pollstar and MIDIA put the annual global sales value of live at around $30bn. Adding that into our stats for 2016 would pit the total annual revenue of the holistic music industry – across publishing, recorded music and live – at over $50bn.